August in Germany -- Frankfurt, Bad Nauheim and Kassel to be precise -- is a propitious, tourist-perfect time. August in Germany -- Frankfurt, Bad Nauheim and Kassel to be precise -- is a propitious, tourist-perfect time. I was lucky to be there last year in August and experienced engaging events in each of these cities. In Frankfurt, the city plays host to its annual arts and culture happening -- the Museum Embankment Festival. It is Europe's largest cultural festival featuring countless arts and crafts stalls, live music, culinary highlights from around the world, and Frankfurt's fabulous museum row. This year the Festival occurs on August 23-25. In Bad Nauheim, August is a special time because that's when the European Elvis Festival takes place. More on that later. 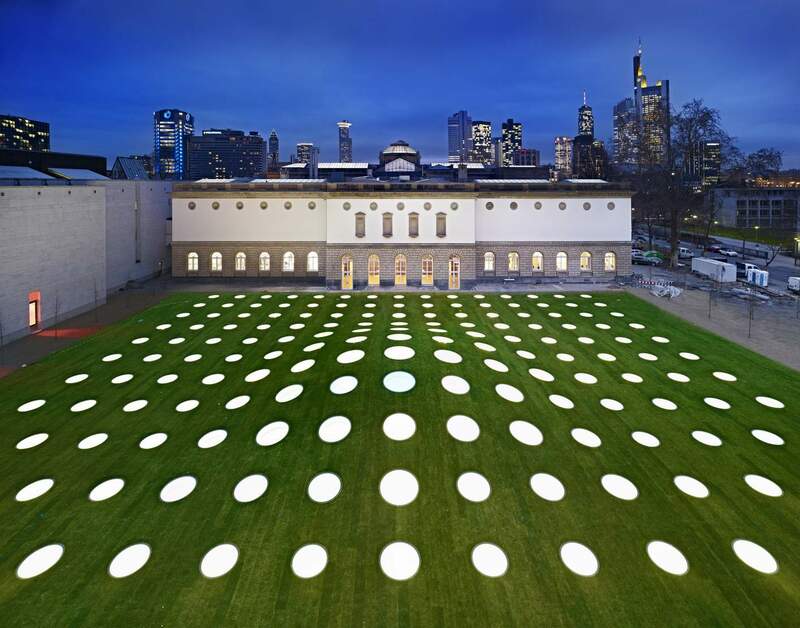 In Kassel this same month and occurring every five years, the city holds the world-renowned Documenta phenomenon, presenting contemporary art of international artists in its most diverse manifestations. Not being sure I can return in 2017, I was immensely gratified to be able to experience Documenta in 2012. We landed in Frankfurt and I must confess that finding world-class art and a plethora of fabulous museums was not highly anticipated. But -- surprise -- it's all here -- in abundance! Frankfurt am Main is a bustling metropolis in the heart of Europe. Here you can find over 200 banks, more than any other German city, as well as more than 60 museums and art galleries. A great walking city, it blends tradition and modernity and its significance as a bustling international trade and finance center dates to the Middle Ages. The cultural scene is as international as the city itself with numerous stages, award-winning opera, and countless open-air festivals. The city has an imposing, modern skyline, romantic riverscapes, and an historic half-timbered Old Town. All this contributes to making Frankfurt shine slightly differently from every angle, just as a jewel shines differently when looked at from all sides. featuring a major retrospective on his life's work, and Piero Manzoni, one of the most important artists of Italian post-war art. I said I was lucky to be in Germany at this particular time and yes, still another reason: a major Jeff Koons retrospective, covering his 30-year career, was happening at the Liebieghaus Sculpture Museum. 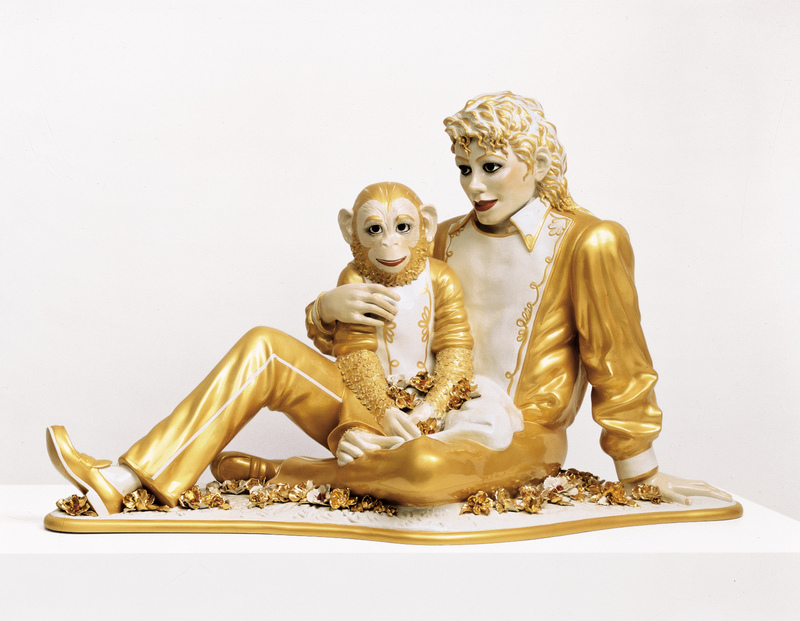 Joyous, kitschy, (think Michael Jackson and Bubbles), the show was mounted so as to enter into a dialogue with the historic building and its collection spanning 5,000 years of sculpture. How do you do that? By displaying Koons' pieces in the same room as, say, Renaissance and Baroque pieces and, somehow, having it work beautifully. No visit to Frankfurt is complete without checking out the Kleinmarkthall, a food hall extraordinaire. The stalls are fabulous, carrying exotic fruits and vegetables, some never before seen. There were 8 different kinds of potatoes, 12 kinds of tomatoes, lots of unusual mushrooms and fresh herbs of every kind. Do allow the vendors to pick your product for you as they take enormous pride in making everything look perfect and beautiful. The famed Dijon Les Halles has nothing over this great market. started his military service in 1958 it was in -- bingo! -- Bad Nauheim. Tours take visitors on a journey back in time to the '50s and '60s and to his European home. Rock 'n roll becomes the sound and spirit of the whole town and people from all over the world celebrate the legendary star with famous bands, movies, exhibits; also Cadillac and Harley parades. If you think, however, that Bad Nauheim's only claim to fame is Elvis you would be wrong. Back in 1911 the town achieved nationwide attention for the healing power of its springs. Today Bad Nauheim is designated a top location for medical science and research. Kassel is a diverse city with a more than 1,000-year history. Three forces come together here: iconic architecture of the 1950s, an important historical background and celebrated art. Drawing almost a million visitors over a 3-day period, Documenta, its famed art festival, was a mind-blowing experience because much of it was cutting-edge, unconventional, and avant-garde. One of my favorite projects was created in 1982 by the German artist Joseph Beuys - an installation that is now permanent. Called a social sculpture, it consists of the artist having planted 7,000 oak trees around the city of Kassel. Beuys explains that the tree is an element of regeneration which, in itself, is a concept of time. He believes that the oak is appropriate because it is a slow-growing tree of solid heartwood. This undertaking was enormous in scope and at the time met with some controversy. To that, the artist said "I not only want to stimulate people, I want to provoke them." He achieved his goal most effectively. Mark your calendars for Documenta, August, 2017. In the meantime, you should know that a permanent exhibit of Beuys work is installed at the Neue Galerie in town. Also, stop by the Brueder Grimm (Brothers Grimm) Museum -- a delight with fairytale drawings housed in their homestead and much of the furnishings original to that time. If it's a beautiful day, visit Bergpark. In a mountain setting, it is replete with streams, waterfalls and bridges -- a Kassel treasure. When I left home to visit Germany, I wasn't thinking festivals or celebration or gaiety. I wasn't thinking culture or art. Now, all these inspiring thoughts and feelings are aswirl in my soul. They'll be there for a long, long time to come.